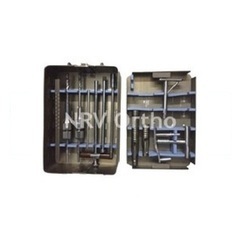 Providing you the best range of dhs / dcs instrument set ( with implants tray), dhs / dcs instrument set ( only instruments), instruments for hip prosthesis, bipolar hip prosthesis, austin moore prosthesis and thompson prosthesis with effective & timely delivery. 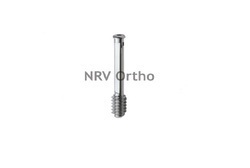 For the diverse requirements of our clients, we are engaged in offering a wide range of Bipolar Hip Prosthesis. Each and every product is tested for its quality assurance. 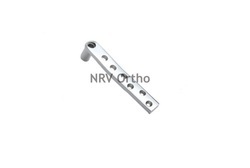 Our Bipolar Hip Prosthesis is highly demanded all over the global market. Processed in compliance with international quality parameters, our range is availed at industry leading prices. Hemiarthroplasty for patients with massive acetabular deficiencies which do not permit secure fixation of the acetabular component. Patient with no abductor musculature. Bipolar Hip Prosthesis implant provides added stability against dislocation. 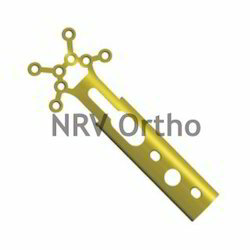 The Bipolar Hip Prosthesis is available in different head sizes to fit accurately in acetabulum. 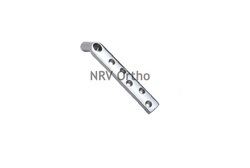 As a renowned organization, we are engaged in offering a wide range of Austin Moore Prosthesis. 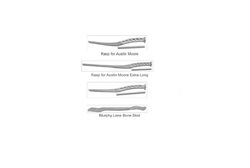 The Austin Moore Prosthesis we offer to our clients is known for its durability and quality. It is manufactured by using high grade material that we sourced from the reliable merchants of the market. 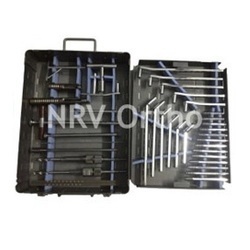 Due to its excellent quality, our range is widely demanded all over the world. Hip Prosthesis are indicated for degenerated femoral head replacement. The Austin Moore Hip Prosthesis is avialable in different head sizes to fit accurately in acetabulum. With our firm commitment to quality, we are engaged in offering a wide range of Thompson Prosthesis to fulfill the needs of our clients. Thompson Prosthesis offer is finely manufactured and is known for its unmatched quality. Moreover, we are offering Thompson Prosthesis at reasonable rates. Available in Titanium alloy & Stainless Steel AISI 316 L.
Fixation with 4.5mm cortex screws/ lag screws with compression screws.